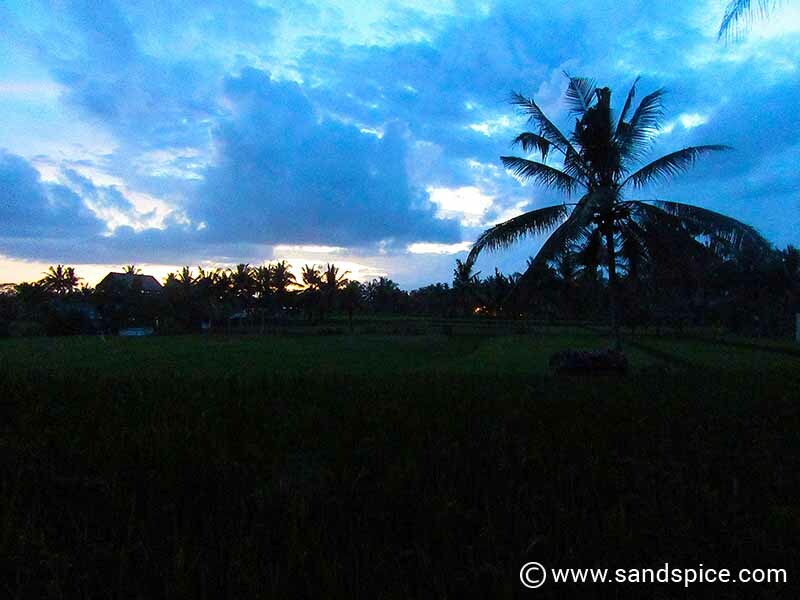 With just 4 days in Ubud, we were keen to discover the best food that Bali has to offer. 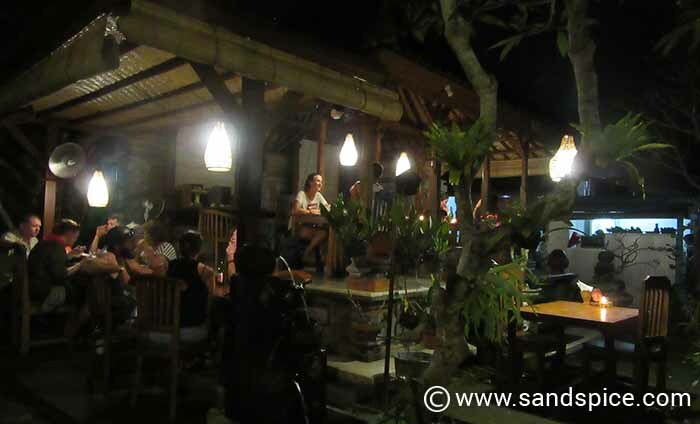 To this end, we did a little research in advance to ensure that our Ubud Bali eating out experiences did not disappoint. Before leaving for Bali, we made a shortlist of around 8 eateries, or ‘warungs‘ in and around Ubud that looked particularly promising. These places were mostly located away from the center, which gave us a good excuse to discover the town on foot. 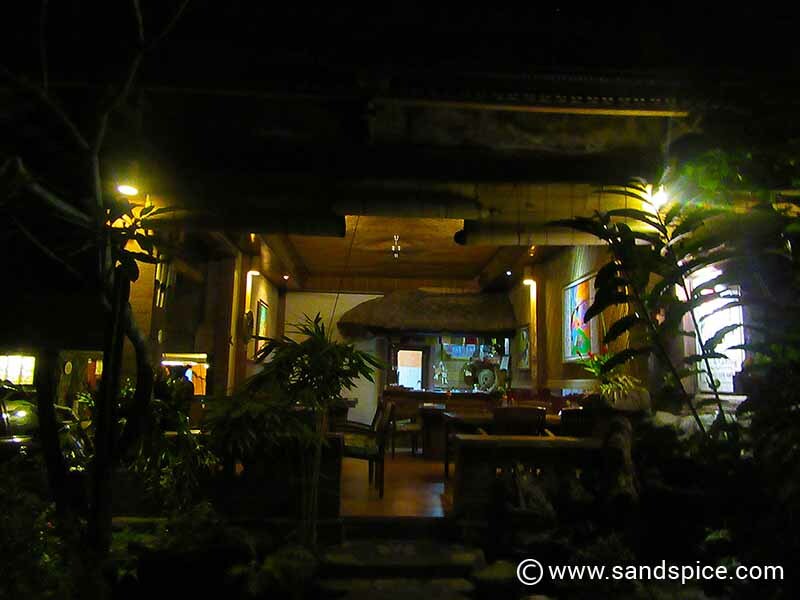 We had also chosen to stay at 2 guesthouses on opposite sides of town so we could easily extend our search radius. The Sweet Orange warung is a good way off the beaten track, hidden away in the rural paddy fields to the north of the center. 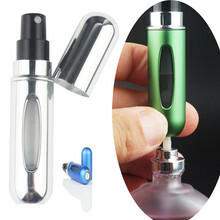 If you go for evening dinner, take a torch. Otherwise, you’ll likely end up in a ditch or like me walk into one of the drainage holes (and that was even with a torch…). It takes around 20 minutes to walk there. There’s no road as such, just a dirt path between the rice fields – that gets really muddy when it rains. The restaurant is large and open-plan with lots of places to sit both inside and in their extensive gardens. 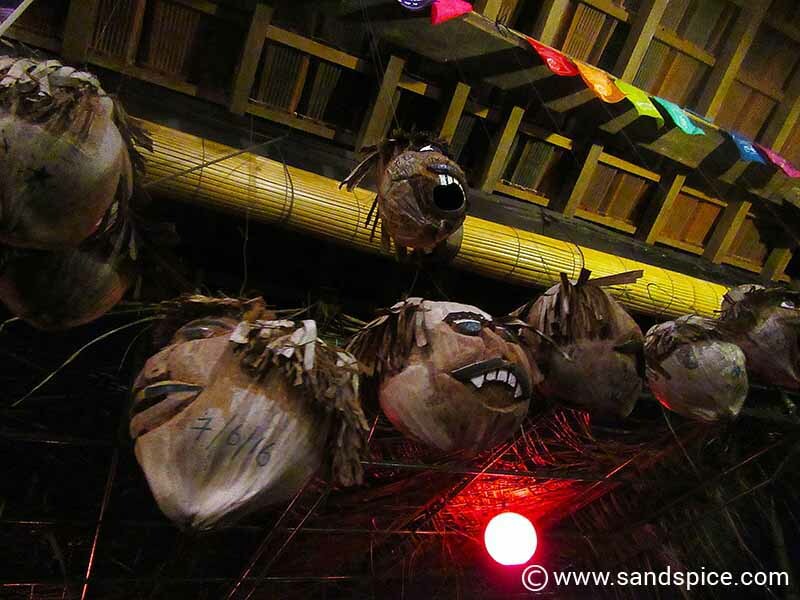 You’ll know you’re in the right place when you see the denizens of coconut heads bouncing around the rafters. Fresh fruit, vegetables and rice are sourced in their own gardens. Not surprisingly, the food is delicious, especially their home-made curry soup. We paid IDR 240,000 (€15) for an evening meal for two including beers. The Sweet Orange Warung is open most days from 9 am to 9 pm. Run’s Warung is also a little way out from the center of town, heading east past the shops and markets up the Jalan Raya Ubud, and then hanging a right onto the dark and narrow Jalan Jembawan. 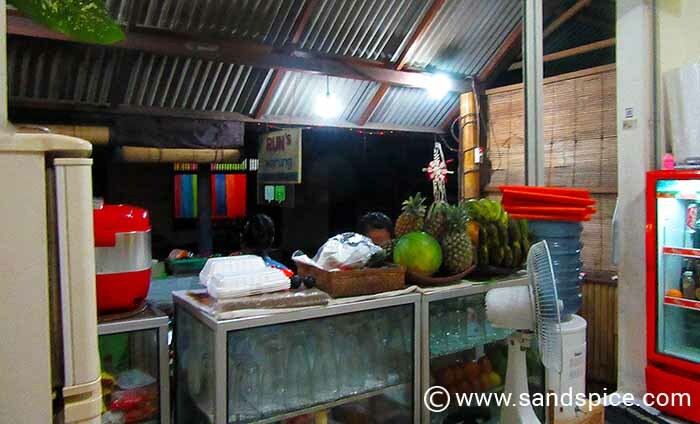 Run’s is a simple and basic warung, with just enough room for around 10 people. 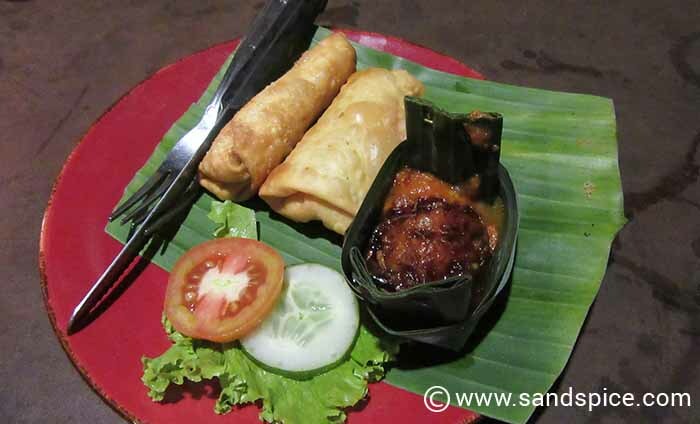 We enjoyed Spring rolls and onion rings followed by Pork barbecue ribs and chicken curry, plus 2 banana lassis. Together with a couple of large beers our bill came to IDR 146,000 (€8.50). 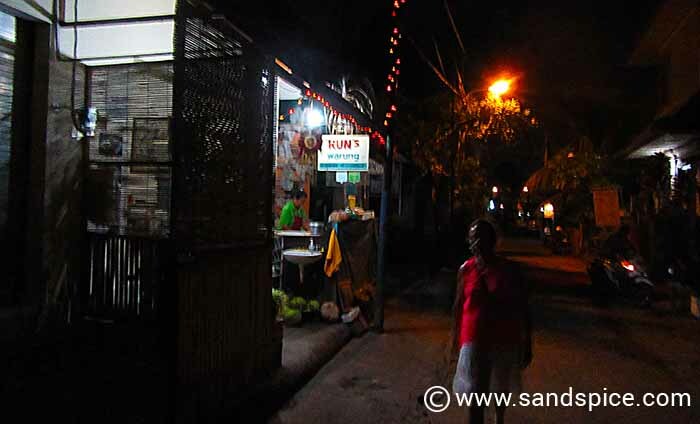 A bonus to visiting Run’s Warung is you get to pass by a booze shop on the Jalan Raya Ubud. If you want to stock up on gin or other spirits, The Bottle Avenue is the place to do it. We bought some cheap local gin (Robinson’s) for just IDR 160,000 (€9), which went down quite well with limes and tonics 🙄 . We found that it pays dividends to head a little way out of the center of Ubud to reach some of the less-frequented and more interesting warungs. 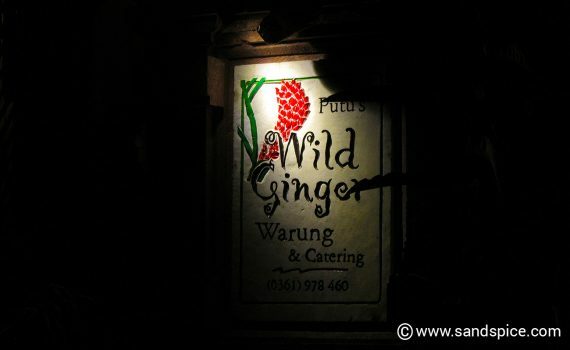 Another example of this is Putu’s Wild Ginger, located further up the Jalan Raya Ubud around 1 km east of the Royal Palace. Apart from one other couple, we had the place to ourselves. We chatted with the owner and chef, and enjoyed the peaceful environment and tasty food. 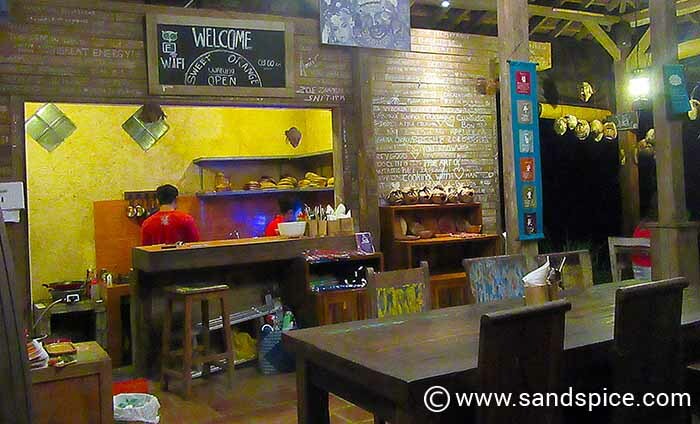 Our bill here, together with lassi’s, beer and deserts came to just IDR 170,000 (€11). 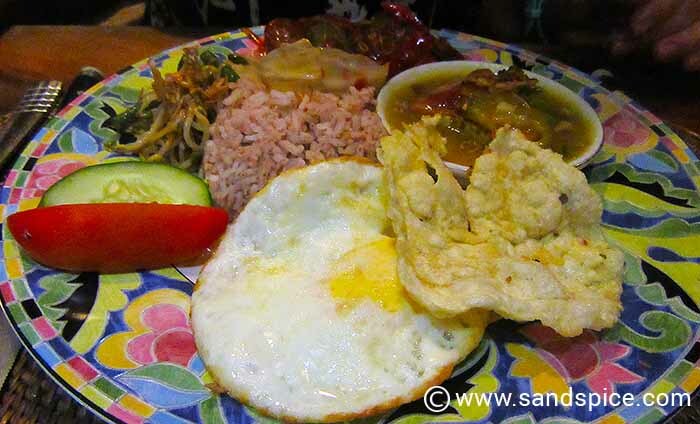 Ubud Bali Eating Out – It’s a Nasi Goreng Special! The Makan Bu Rus warung on Jalan Suweta is much closer to the center of town and comes highly recommended. Here we sat out on their garden terrace and ate a tasty Nasi Goreng and Chicken Curry. Together with a Pina Colada and Arak Madu (Bali’s iconic tipple with lime and honey) our bill came to IDR 150,000 (€9.50). Makan Bu Rus is a handy place to eat if you want to catch the last shuttle bus back to your hotel or guesthouse (usually around 9:30 pm). These shuttles all make their drop-offs and pick-ups just in front of the Royal Palace. 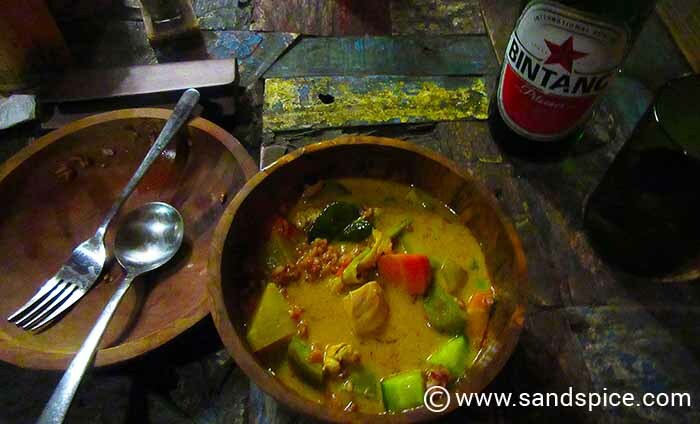 We didn’t have one bad meal in and around Ubud. Even in the humblest of warungs the food was always fresh and tasty and the service impeccable. With the remainder of our time in town, we planned to visit the Monkey Forest, the Royal Palace and the markets. After that we would be heading off south to the island of Lembongan for a week exploring the island … and discovering the beaches.